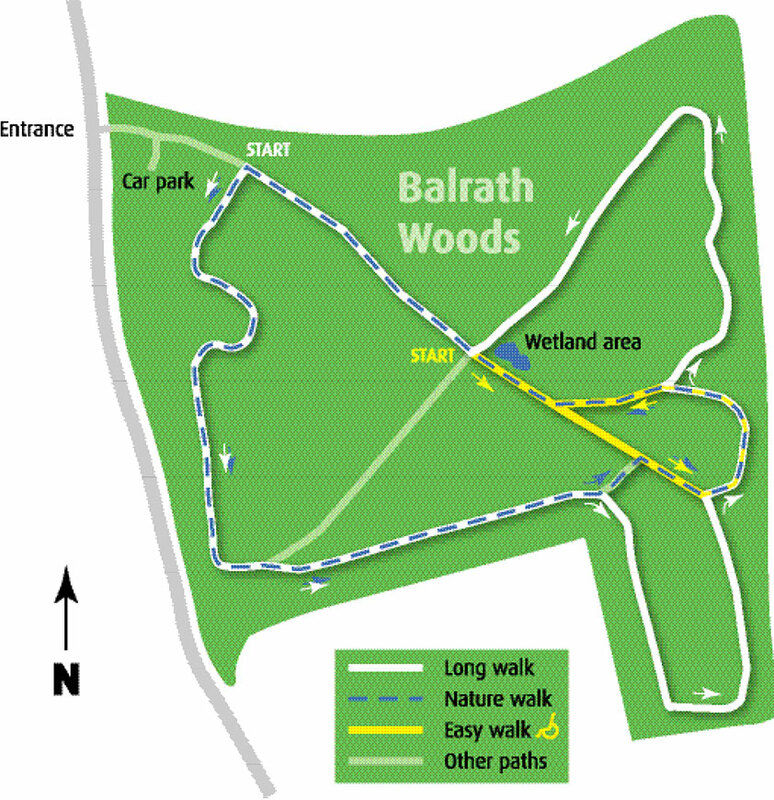 1 Long Walk – White on map – Circles the perimeter of the woods. 2 Nature Walk Blue on map. 3 Easy Walk – Yellow on map (suitable for wheelchairs and buggies). The Long Walk and the Nature Walk both begin shortly after leaving the car park. Follow the path from the main entrance into the woods until you see a sign for these pathways. Take a right into the woods and follow the path around. It is sign-posted. The Nature Walk is shorter than the Long Walk. The Easy Walk goes straight up the tarmac path, past the pond, swing and play ponies, and then loops around to the left to return the same route. There are four Play areas. To reach the ‘Shaky Bridge’ go along the Wheelchair Path and turn left just before the Pond. The Swing, suitable for children with disabilities, is situated straight ahead past the pond. (This swing is for children, and not intended for Adults) Further along the Wheelchair Path you will find two‘Play Ponies’ suitable for small children. Turn right here, off Wheelchair Path, and continue until you come to the Climbing Web.